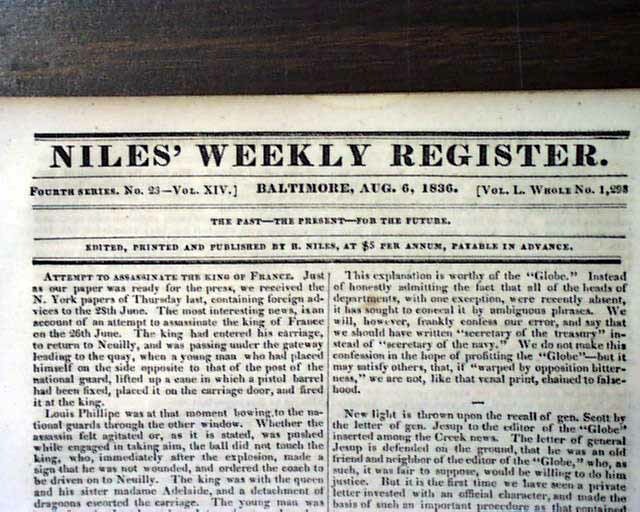 NILES' WEEKLY REGISTER, Baltimore, August 6, 1836 The ftpg. 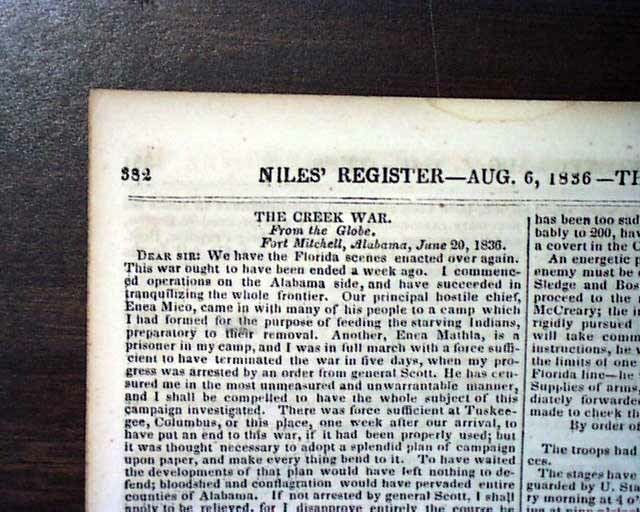 has a short report concerning the "outrages" due to the rescue of two runaway slaves (see). 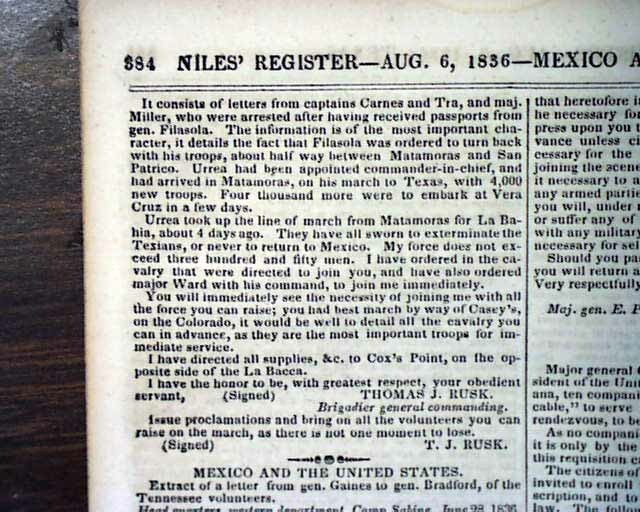 Other articles inside include: "Lynching Among the Indians" "The Creek War" with reports from Fort Mitchell, Alabama; "The Cherokees" "From Florida" "Mexico & the United States" "Western Indians" and "Texas", the latter mentioning that the Mexicans had not advanced and will not prosecute further operations against Texas, for the present, and with mention of Goliad, the Alamo, and San Jacinto (see). 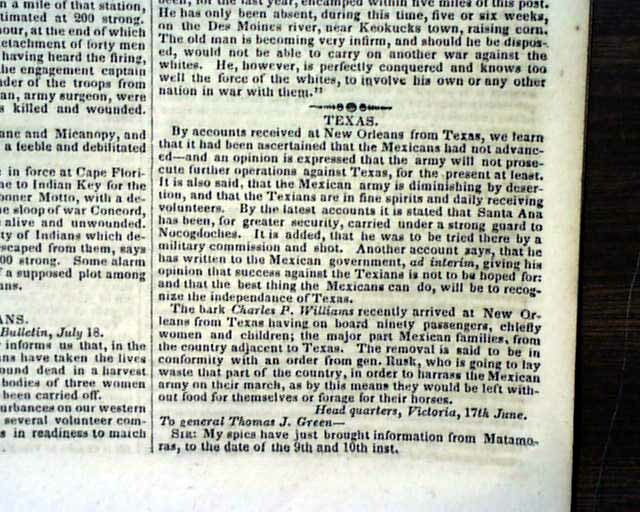 There is also mention that Santa Anna has been taken to Nacogdoches where: "...he was to be tried there by a military commission and shot." 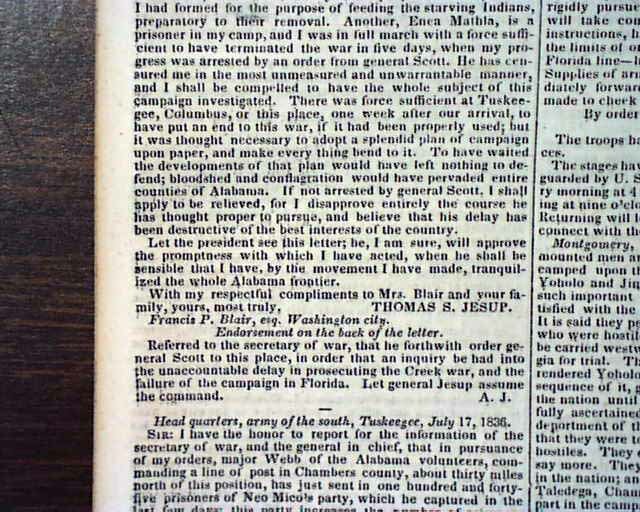 and also mention that: "...the best thing the Mexicans can do will be to recognize the independence of Texas." The back page has: "North Carolina Gold Mines" which mentions "Bechtler's Gold Coin" which currently sell for five figures (see hyperlink). 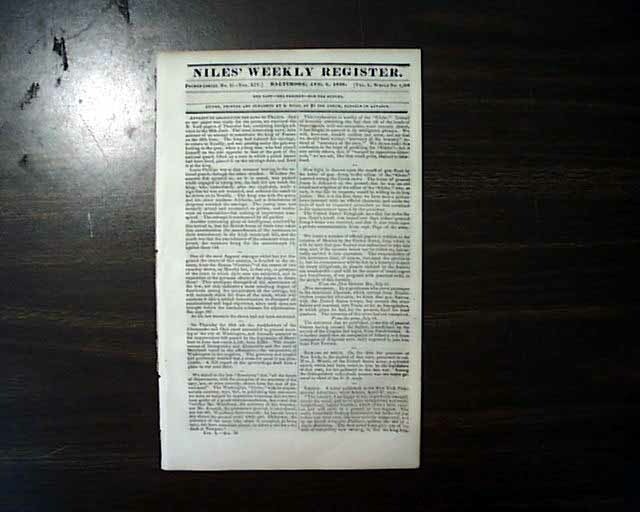 Sixteen pages, 6 1/4 by 9 1/2 inches, some foxing, nice condition.